Congratulations! You’re about to embark on one of the most special days of your life. Your wedding! Anyone who’s been married will tell you this day is pure magic and many will say it’s the best day of their lives. The days leading up to it; however, can be a different story! There’s no question wedding planning can get intense, and basically takes over your life. If you’re reading this post I’m thinking by now you’ve likely found your wedding dress!! YAY!! While it can be tough to settle on something, it’s really not so bad when you’ve been dressing yourself and your body most of your life! Choosing a dress for someone else’s body type, and the added pressure that it’s a group of girls who are all different shapes and sizes for that matter it’s a headache waiting to happen. 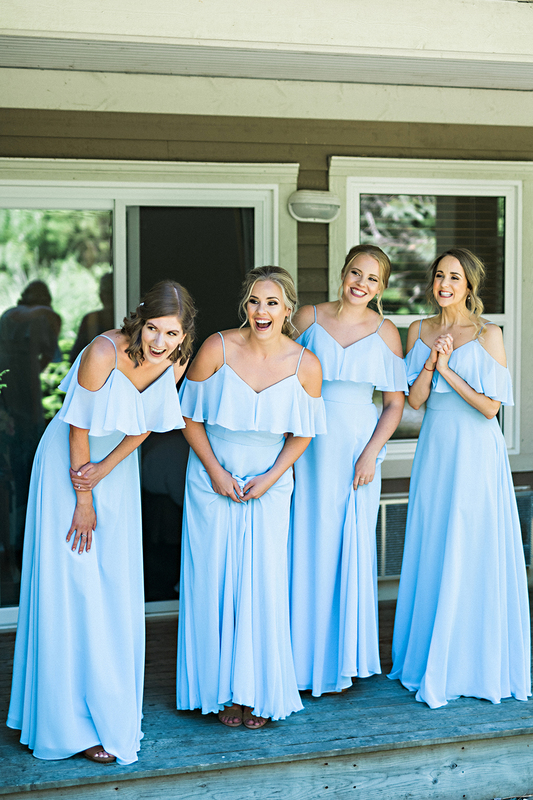 Choosing your bridesmaids’ dresses can be stressful, in fact a lot of brides will tell you they were more stressed about picking out their bridesmaid dresses their own wedding dress. 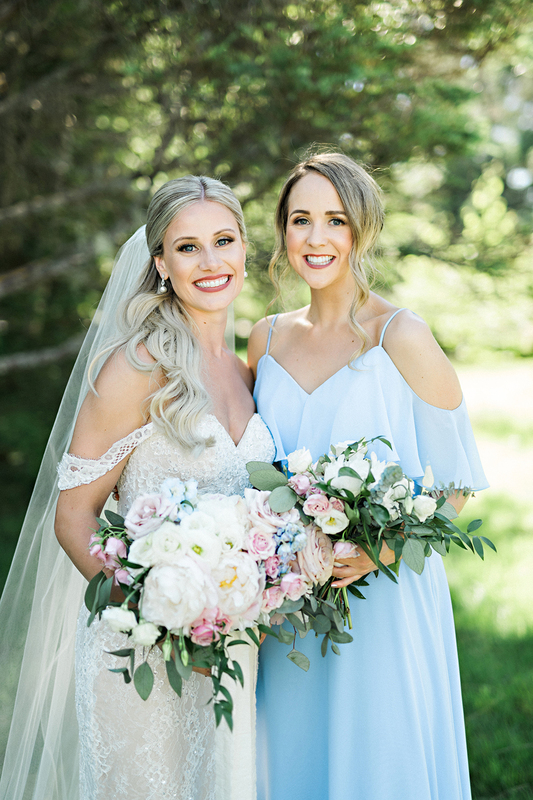 When it comes to weddings we want to minimize stress as much as possible, so today I’ve partnered with Ottawa Wedding Boutique With Love Bridal to share my tips on how to choose the best bridesmaid dresses!! With Love Bridal was actually where two of my really good friends purchased their wedding dresses, and then recently these gorgeous bridesmaid dresses as well. All photos c/o Candace Berry Photography. We thoroughly enjoyed our experience with With Love Bridal from start to finish it was all very seamless, and we can’t say enough about their level of service. 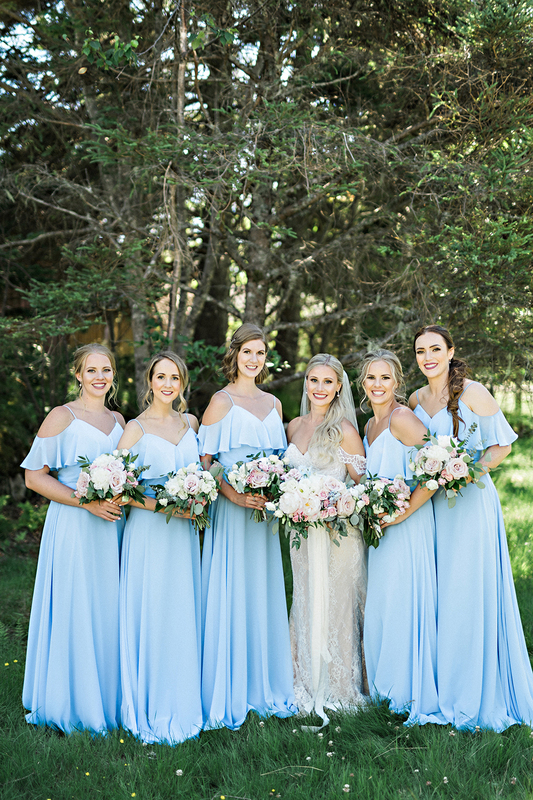 With Love Bridal are the exclusive retailer for many stunning bridesmaid dress lines, including Joanna August, Amsale, and Nouvelle Amsale. All dresses are selected from the top collections of world-class designers, so your ladies will look and feel gorgeous as they celebrate your day. You’re the star of the show, and no one is here to take that away from you, but you’re going to look even better when your maids look and feel amazing too! And the best way to do that is to coordinate with your maids. 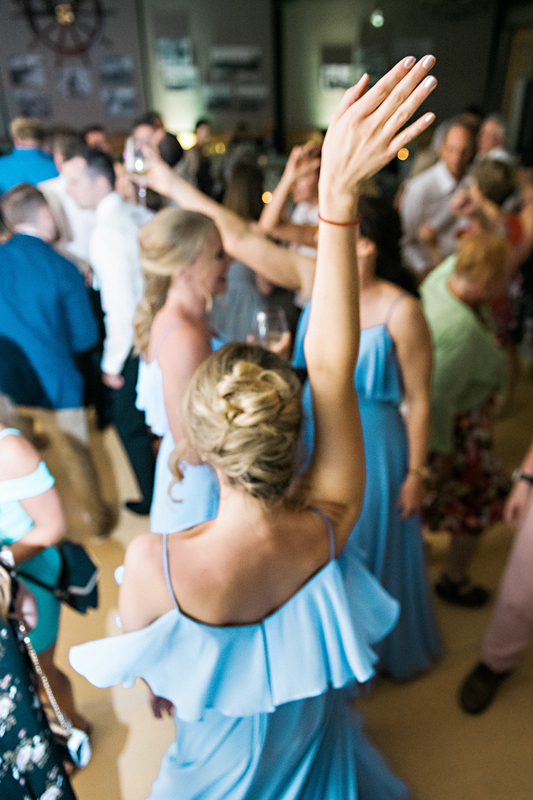 If you’re wearing a busy dress with lots of lace, details, and/or beading, maybe keep the bridal party dresses more simple, so there’s variety in texture and silhouette (again you’re the star). Take lots of photos so you can visualize them together. Try to keep an open mind, and try not to be too harsh. Your venue really does dictate a lot. 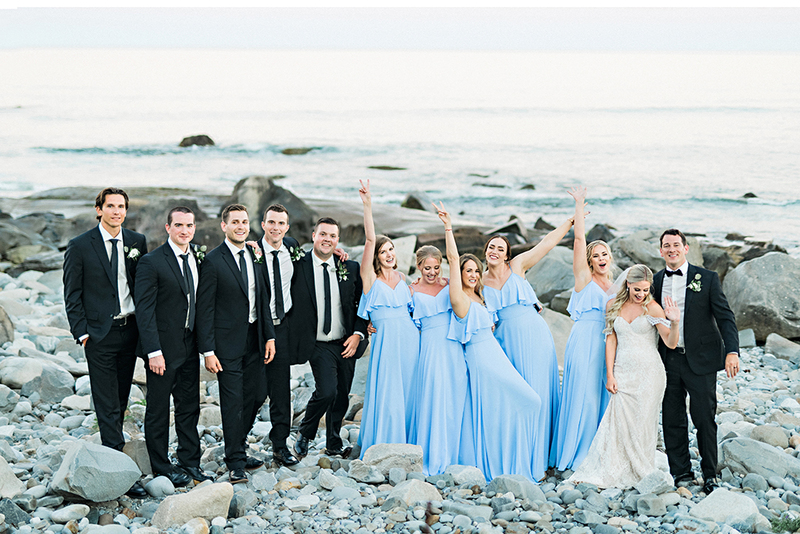 If you’re doing a beach wedding you might want to consider light weight fabrics, and dresses that allow your maids to breathe while they bask in the sun, likewise if your wedding is in the winter you don’t want your maid to freeze. It’s a long day, and you want to keep energy levels HIGH nothings worse than a group of uncomfortable girls lol because once one starts complaining it’s difficult to get off that train. Length is also a thing, and something to chat about with your maids because it’s easy to say you can commit to heels all day / night long, but to actually do that is very different. I would encourage your maids to get their dresses altered (if need be). We all have color schemes and silhouettes that we LOVE, and of course for your wedding you want everything to be coordinated. But if you want your maids to enjoy the day as much as you, you gotta put them in something they feel confident in! Of course you don’t want anyone else dictating your day or impeding your “vision”, but it’s really really really important that your maids look and feel amazing too. 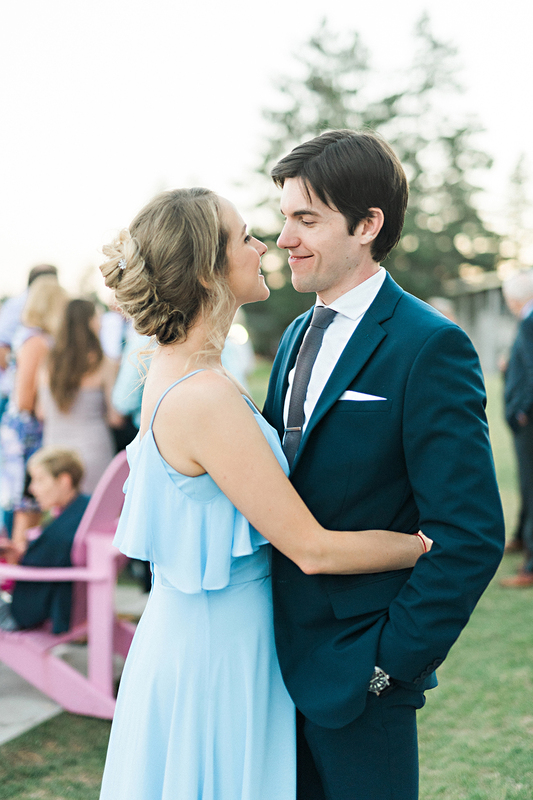 Color is kind of a biggie because you’ll be taking lots and lots of photos, and the hue of your maids’ dresses can really enhance your wedding themes and color schemes. You also want to think about complimenting your maids’ dresses in color and style with your wedding dress since you’ll be getting a ZILLION photos together. We all know we don’t look great in EVERY color, I bet if you think about it there’s certain colors that you just NEVER wear. The same goes for your maids. 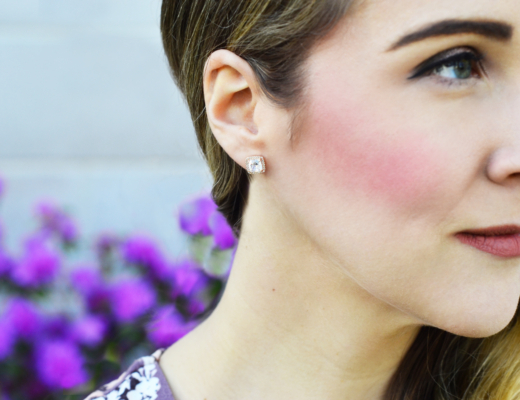 When thinking about a color you definitely want to consider skin tones. Maybe flip through your friends social media profiles and to see if you think it could possibly be a match. You can also go super modern and opt for non matching dresses, so maybe you pick a different color for each made, but are all in the same color family, or maybe you pick one color and a variety of styles so they suit everyone’s body type. Even the most amazing dress can look terrible if you’re not wearing the proper undergarments. 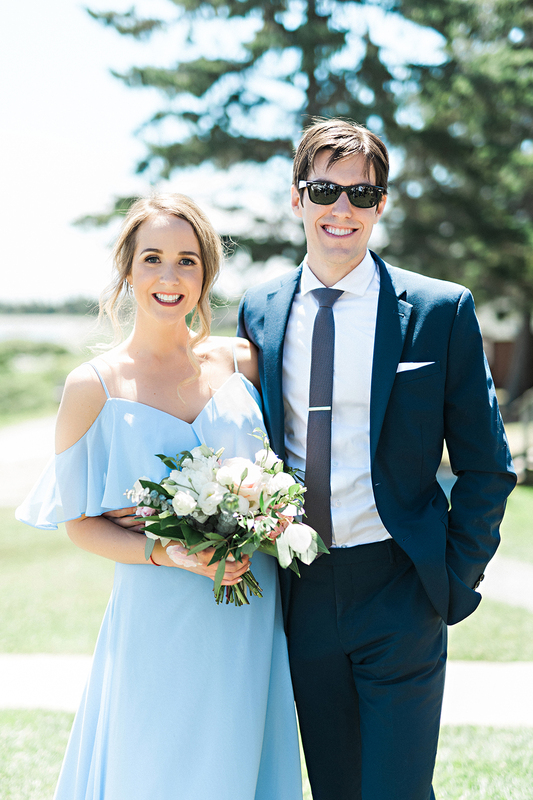 One of the things I love about our dresses from With love Bridal is that there was a bra and corseting built-in so we didn’t need to worry about finding a strapless bra. A convo about under roos or spanx isn’t the worst idea because you’re going to be in the dress the ENTIRE day you want to make sure you’re comfortable and everything looks good from all angles. 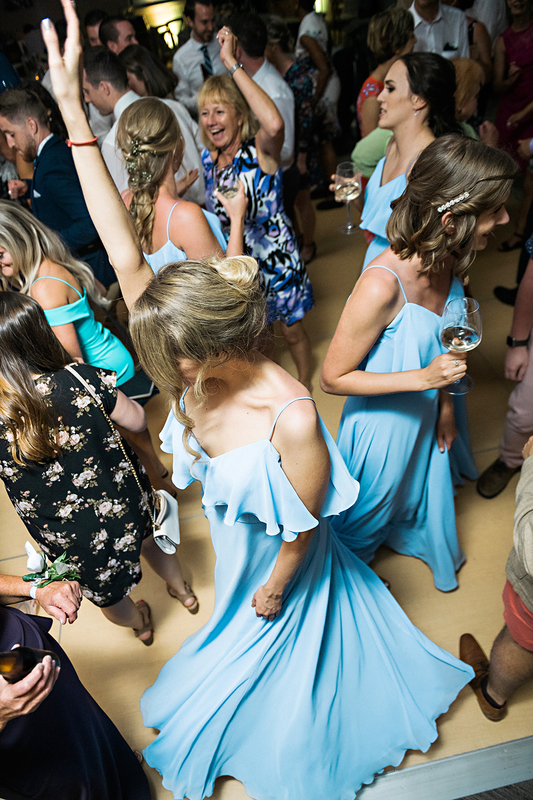 Your maids need to look cute in your photos (of course) but you also want them to have the freedom to bust a move during the evening activities as well. There’s nothing worse then wearing a dress ALL day long and you cant’t move in it. One of the things I loved about the style of our bridesmaid was a) i didn’t need to worry about pulling it up over and over because it had straps, but b) the cute little flutter sleeve could easily be tucked under your arm meaning you could lift your arms up and bust out ALL the dance moves which as you can see from the photo above was VERY necessary lol!! You will find the best dresses for everyone, but just remind yourself to be patient and consider your maids and how all of this makes them feel too. 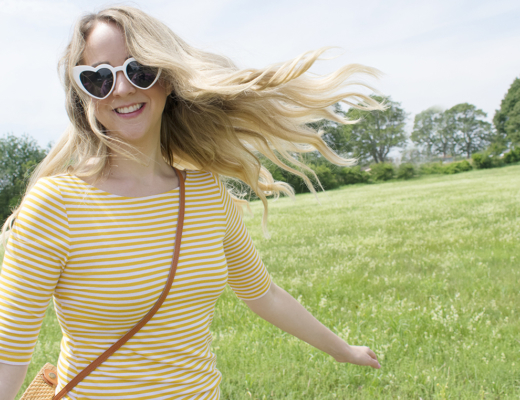 We all come in different sizes and not all dress silhouettes will flatter all body types. Honestly, it’s up to you! It’s your wedding and you can toss the “rules” out there door as long as everyone looks and feels happy that’s all that matters. Shout out to With Love Bridal for collaborating for this post. Pop over to With Love Bridal to like them on Facebook! And thank you to Candace Berry for all the imagery! These dresses are so cute! Allie and I are currently up to our ears in wedding planning so we loveee getting all the tips we can get!